The Cupola, completed in 2010, was built for a practical reason. It is from here that crew is best able to operate the robotic arm that is visible directly from it, alongside the Russian segment of the station (often with a Soyuz craft attached) and the US and Japanese labs. But almost from the start, it became a favorite for space explorers from all segments of the ISS, who take turns pushing themselves in microgravity to the cramped room, made bigger by its seven bay windows, which can be shut at any time with a complex mechanism in the event of depressurization. NASA astronaut Sunita Williams confessed she enjoyed trying to guess which part of the Earth the ISS was passing, judging from the formation of the clouds and the ground below. Many of the more avid photographers from past missions have also camped out in the Cupola, both for artistic, and scientific photos. 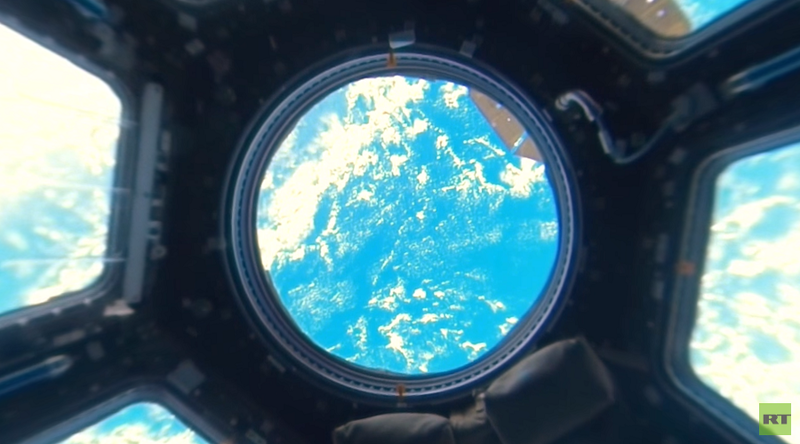 Borisenko says he is often too spellbound to do anything at all, once he is in the Cupola, simply staring back at our home planet. “No matter how many more planets we will discover, the Earth will always be the most beautiful,” says the 52-year-old cosmonaut. The Russian space explorer also likes to poke fun at Flat-Earthers. “You can see from here that the Earth is round – no elephants or whales holding it up,” Borisenko says. RT will be regularly uploading segments from the Space 360 project – a joint initiative of RT, Russia’s space agency Roscosmos, and Energia Rocket and Space Corporation, the manufacturer of the Soyuz, with Russian cosmonaut Andrey Borisenko as host and tour guide. 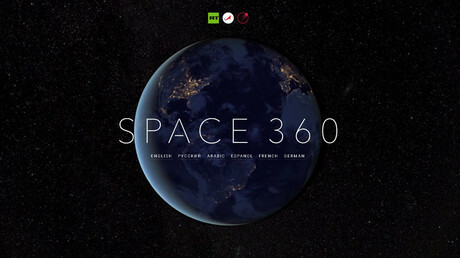 RT’s special project “Space 360” is available in six languages (Russian, English, Spanish, French, German and Arabic) as well as in special RT360 mobile app (Google Play, App Store, Oculus). RT is a leader among world media in producing panoramic 360-degree videos, which are made by 'stitching together' simultaneous footage shot by several cameras. Recent uploads have included a tour of the Russian flagship, the Admiral Kuznetsov, which is operating off the coast of Syria, videos capturing the devastation of Palmyra, and the chaos during the demolition of the Calais refugee camp.